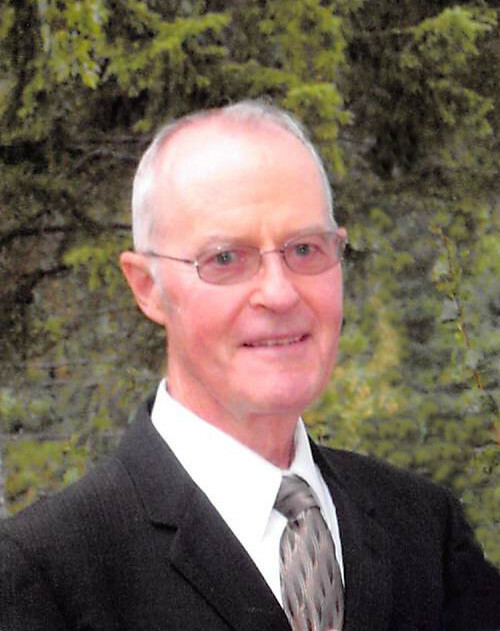 Charles Frevert, age 78, of rural Big Stone City, SD, died on March 24, 2019, at his residence. A memorial service will be held on Saturday, April 6, at 11:00 a.m. at First United Methodist Church in Ortonville. Pastor Melanie Reiners will officiate. Visitation will be held at the church on Friday evening from 5:00 p.m. until 7:00 p.m. A prayer service will be held at 7:00 p.m. Visitation will continue at the church on Saturday, one hour prior to the service. Honorary bearers will be grandchildren: Darshell, Amanda, Tyler, Nathan, Brittney, and Pauly. Charles Edward Frevert was born on September 13, 1940, in Milbank, SD. He was the son of Raymond Frederick and Bertha Margaret (Hanks) Frevert. Charles grew up on the family farm near Big Stone Lake. He met Norma Minder on a blind date on New Year’s Eve. They were united in marriage on November 6, 1965. They were blessed with 53 years of marriage. Charles was involved in the farm operation with his father and brother. Following back surgery, he began a small engine repair shop and operated it until his retirement. His passion for woodworking led him to operating a carpentry shop. His family will treasure the gifts he made for them. He enjoyed working on projects with his family members. Charles was a member of First United Methodist Church in Ortonville. He served on the Township Board and participated on a trap league and a bowling league. He was an avid hunter and fisherman. He was a gifted carpenter and could fix any small machine. Charles spent many hours repairing sewing machines in the community. Charles and Norma enjoyed camping in their camper – Charles was not a “ground sleeper.” They also loved deer hunting together. He enjoyed having coffee every morning with the coffee crew at Cottage Inn Café. Most importantly, Charles loved his grandchildren! Left to cherish his memory are his wife, Norma of rural Big Stone City, SD; three sons: Brian (Jessica) Frevert of Big Stone City, SD; Paul (Sarah) Frevert of Clinton, MN; and Joe Frevert (Laura Muldoon) of Milbank, SD; six grandchildren: Darshell (Matt), Amanda, Tyler, Nathan, Brittney, and Pauly; siblings: Roger (Ann) Frevert of Big Stone City, SD; Marilyn (Rick) Pettit of Anchorage, Alaska; Linda (Scott) Licht of Rapid City, SD; and Mark (Barb) Frevert of Hot Springs, SD; sisters-in-law: Sharon Johnson of Egan, MN; and Linda Hoffman of Morris, MN; brother-in-law, Cal Myers of Yakima, WA; many nieces and nephews; and beloved personal dog, Molly (Charlie’s confidant). He was preceded in death by his parents; siblings: Barb and her husband, Bob Jindra; and Carol Myers; brothers-in-law: Gerald Johnson, and David Hoffman; nephew, Michael Hoffman; and a beloved dog, Petey.